What was your first experience with social media? Facebook? Twitter? Of course, the concept of social media goes back a lot further than these very modern, technological marvels. Before LinkedIn there was CompuServe, and even before the internet there were social networks of a sort in place in the form of pen pals and Roman forums. 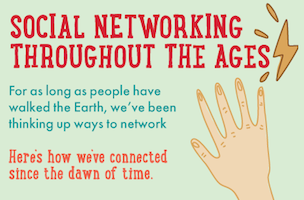 And the dawn of social networking? Look no further than cave drawings, the Instagram of their day. 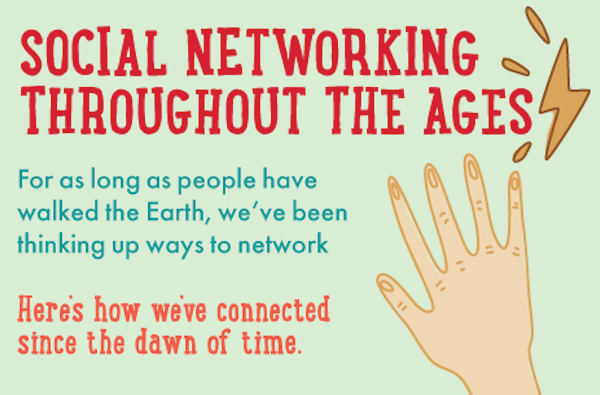 This visual from Bixa Media looks at the history of social networking through the ages.